SAN DIEGO (KGTV) -- With a string of recent fires in San Diego County and statewide, it’s no secret that so-called fire season, which California fire agencies say is now year round, is getting worse. So far this year, Cal Fire has battled nearly 3,800 wildfires that have so far scorched more than 292,000 acres. That figure shows a sharp increase from previous years and is far above average for this time of year. According to Cal Fire, the last five years have, on average, seen just over 118,800 acres burned statewide by this time. The increasing danger even has agencies like the US Department of Agriculture warning of the risks. 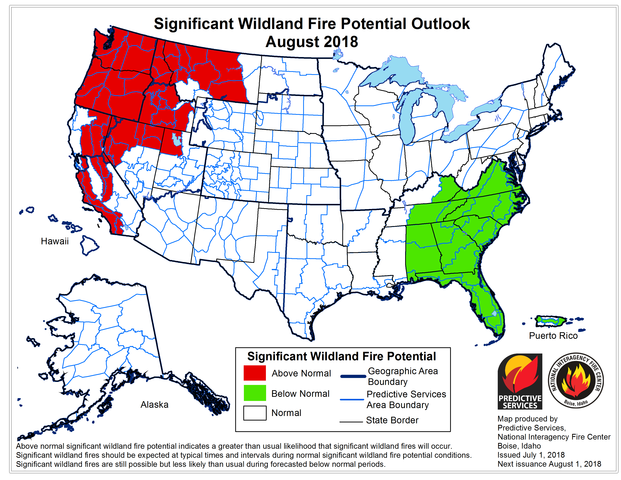 This year’s outlook isn’t showing any signs of letting up. 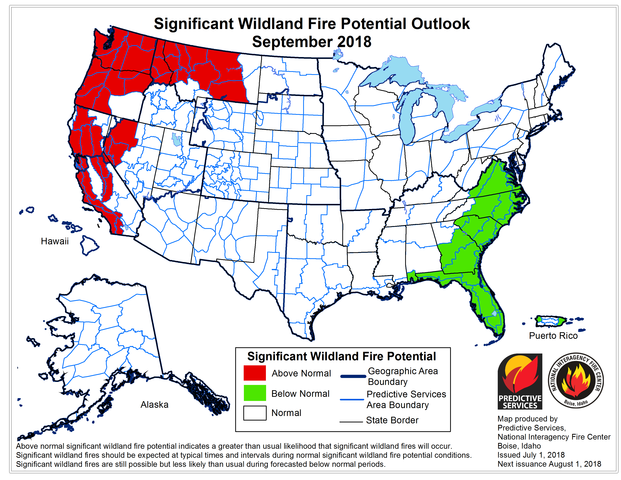 A forecast provided by the National Interagency Coordination Center shows August through October being above average for fire danger. 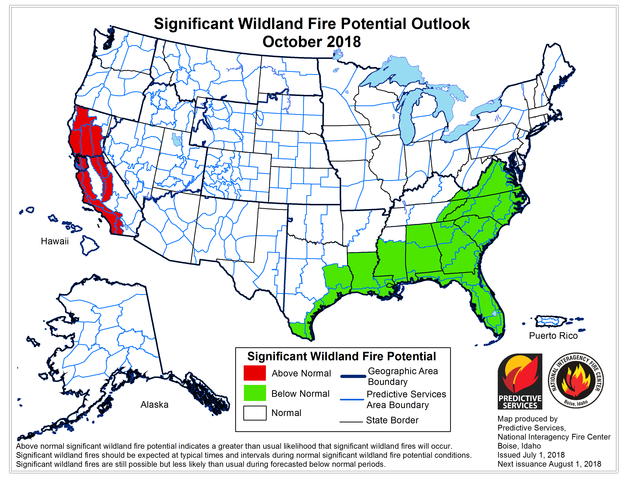 While the risk for fires in some parts of the country decreases into the fall, San Diego County's forecast remains unchanged. 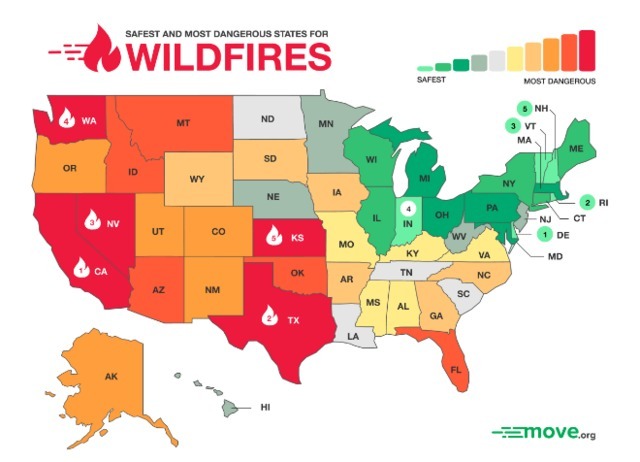 A new study by Move.org shows that The Golden State is also the most dangerous state in the US for wildfires. According to the study, the amount of spending on property damage tops all other states. The site recognizes that, though the state spends the most on property damage due to wildfires, California’s elevated property values could contribute to high damage spending. Cal Fire posted a message Monday evening thanking the 16 states that have sent resources to California to help the state fight wildfires.